Our signature moisturiser with sun protection factor 20 is an ultra-skin nourishing and anti-ageing moisturiser, providing all day hydration. Harnessing peptides, to tighten and firm whilst diminishing the appearance of fine lines and wrinkles. Skin loving antioxidants encourage cell re-growth and regeneration. 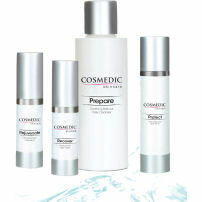 Your skin will be thoroughly hydrated whilst looking fresher, firmer and tighter. Our signature daily Moisturiser with sun protection factor 20 is an ultra-skin nourishing and anti-ageing moisturiser, providing all day hydration for your skin. 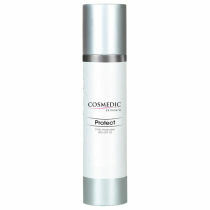 Harnessing peptides, to tighten and firm the skin whilst diminishing the appearance of fine lines and wrinkles. Skin loving antioxidants in our daily Moisturiser encourage cell re-growth and regeneration. Your skin will be thoroughly hydrated whilst looking fresher, firmer and tighter. Our signature skincare range has been specifically developed to maintain good skin health on a daily basis. Our range fights the first signs of ageing by targeting each layer of the skin to thoroughly hydrate the whole face. The range introduces an affordable clinically proven integrated mix of products that work to achieve brighter and healthier skin. As we age we lose moisture and elasticity in our skin which causes wrinkles and other signs of ageing to appear. Our collection rehydrates skin with a series of clinically proven ingredients. It includes light weight non-oily hydrators and skin revitalising serums to stimulate collagen and elastin, whilst helping skin to repair and renew more rapidly. 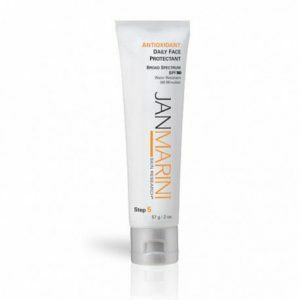 The range has been developed with your daily skin health needs in mind and will help refine pores and minimise fine lines and wrinkles as well as address any pigmentation issues. Aqua, Pseudocollagen, Aloe vera, Retinyl Palmitate, Benzophenone-3, Ethylhexyl methoxycinnamate Ethylhexyl salicylate, Tocopheryl Acetate, Hylauronate, Guar Hyroxypropyltrimethylammonium Chloride.